C.I.D.E.S.C.O. International (Zurich) was founded in 1946 to further the professional competence and integrity of the Beauty Therapist, as well as developing a closer liaison with the Medical Profession, cosmetic chemists and the other professional bodies with whom the beauty specialist now works. 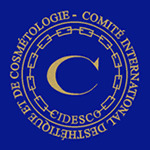 It affords constant contact internationally to maintain worldwide standards of knowledge and techniques.The pass mark for CIDESCO Examinations is 70%. C.I.B.T.A.C. 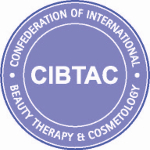 is the Examination Board of the British Association of Beauty Therapy and Cosmetology Limited (BABTAC). It has built up its reputation over 25 years and is renowned for its high level of training and strict quality control. There are now over 150 schools in 18 countries accredited to offer the prestigious CIBTAC awards. Students sit a theoretical and practical examination to test their knowledge and skills and only those that satisfy the external examiner in every aspect, will be awarded the CIBTAC diploma. The pass mark for CIBTAC Examinations is 60%.. I.T.E.C. (The International Therapy Examination Council) was founded to provide an independent professional examination system covering all aspects of beauty therapy whose examinations would be widely recognised. The examination board places great emphasis on the practical side of training. All I.T.E.C. schools have to conform to a rigid set of rules governing standards of equipment, teaching and training. The pass mark for ITEC Examinations is 60%. Acceptance to enrol in any course at the Georgina Price College of Beauty Therapy is at the sole discretion of the principal,however, Leaving Certificate or an equal standard of education or alternative professional experience is acceptable. The applicant must be 17 years of age on taking examinations. In relation to foreign students they must demonstrate a reasonable level of English to ensure successful completion of the course. All prospective students are invited to the college in order yo discuss the course of your choice in more detail and provide you with an opportunity to view thecollege facilities and toanswer any questionsor queries you may have.